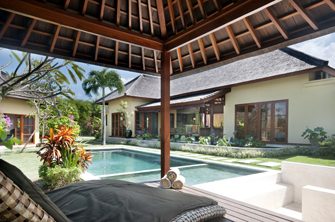 Villa Fortuna welcomes you to an enchanting tropical living style in Bali for your holiday. 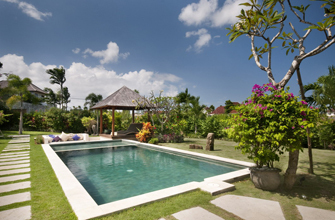 This villa for rent in Bali is nestled in calm and tranquil area surrounded by rice fields known as Umalas. 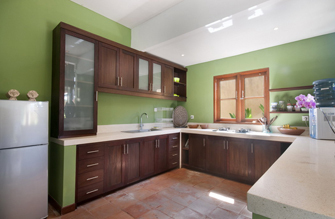 Compounded within 2 buildings, a master bedroom and a main building, lodge you semi open living and dining spaces between 2 bedrooms. As the gate opens, lush well maintained garden and splashy swimming pool. 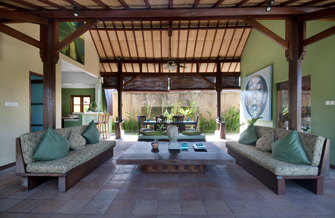 As you step up to the main building, the sound of flowing water and swimming fishes are welcoming you to the villa. 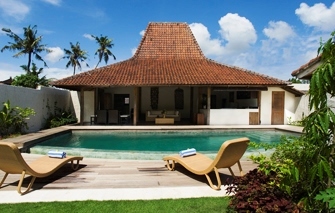 A bale by the pool is the perfect space for chill out, relax or massage. 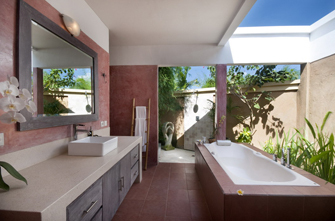 The villa compliments you with airport transfer and more services are available such as in house massage or cook with additional charge. 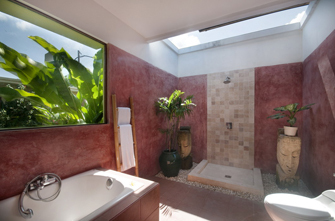 Villa Fortuna offers you the finest lodging in Bali as the villa pays attention in each detail of the property for your comfort stay. 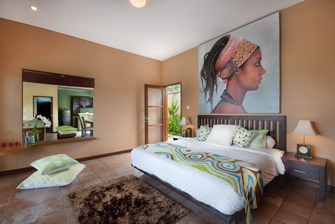 Plus, the villa facilitates you with entertainment set, TV in each room and Wi-Fi internet connection. 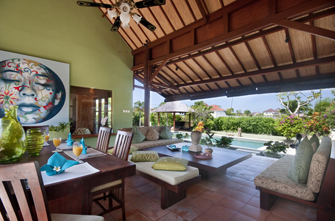 The friendly villa staffs are steady to assist you at any your need. 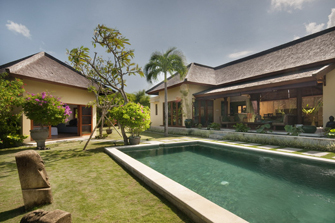 Within total area of 9 ares, villa Fortuna is perfect selection for your option of where to stay in Bali with family, friends, colleagues or group. 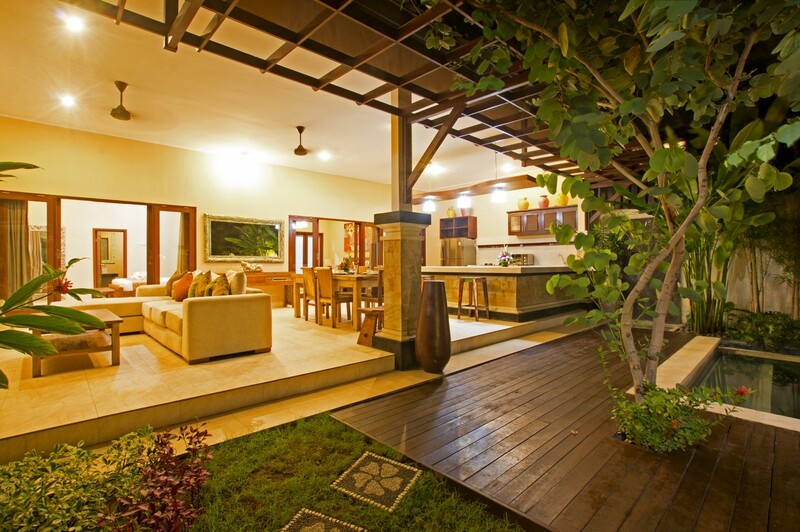 Enjoy the tropical living concept with being closer to the nature without being far from the center of cosmopolitan lifestyle; that is a holiday living in villa Fortuna.